Please refer to our stock # TR1025 when inquiring. 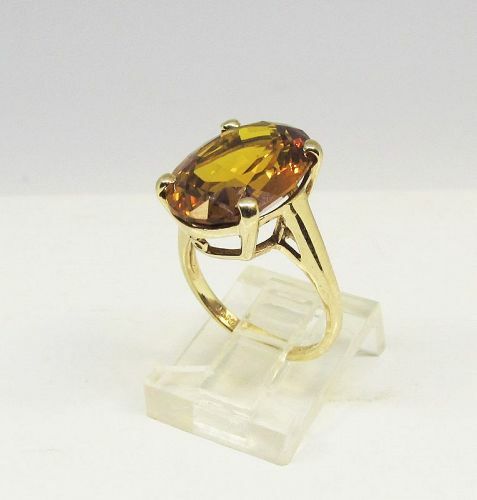 This 14 Kt yellow gold period ring is set with a gorgeous 16 X 12 millimeter oval faceted Madeira topaz (a/k/a citrine). The stone is prong set, in a basket type setting. The ring is a size 5 ¼ and can easily be sized.